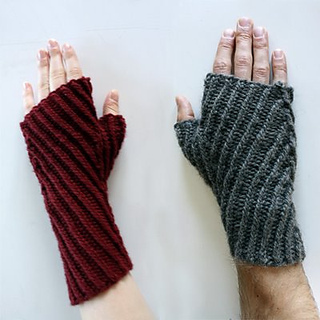 His & Hers fingerless gloves, inspired by the knitwear in Sweeney Todd. 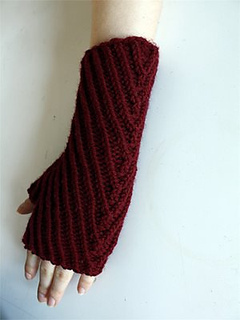 Twisted ribbing slants to form “V” details at the side of the hand. 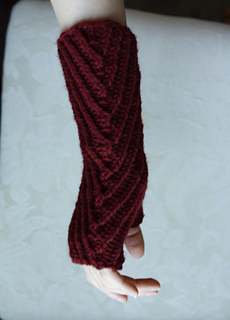 “His” version is knit in Cascade Eco Wool and features a shorter cuff; “Hers” version, knit in Cascade 220, features a longer cuff with a tiny lace detail. 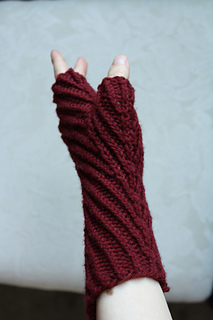 The ribbing stretches to fit a wide range of hand sizes. 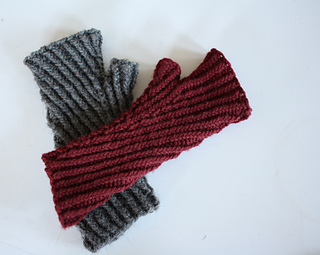 Gauge listed above is for “Hers” gloves in Cascade 220, or other worsted weight wool. 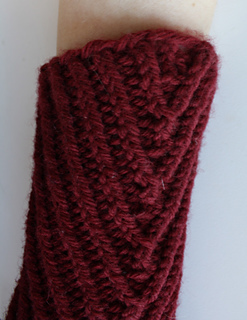 Gauge for “His” gloves in Eco Wool, or other aran weight wool: 22 sts x 22 rows = 4’’ in twisted rib (unstretched). 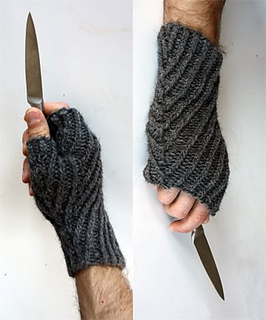 Skills required: Knitting in the round, increasing, decreasing.